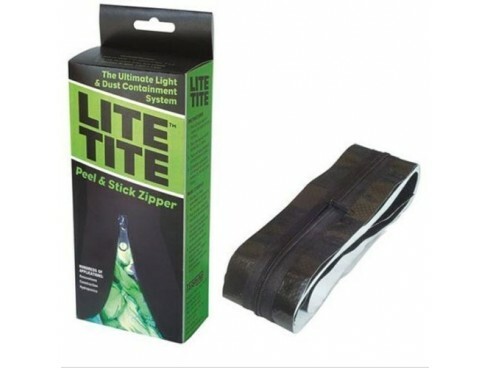 The 84" long, heavy-duty, waterproof #5 zipper is sewn to a 950-denier high-density polyethylene backing that has a permanent high-tack acrylic adhesive. Here is the easiest way to make a door! It’s fast, simple, inexpensive and more air-tight than a conventional door. 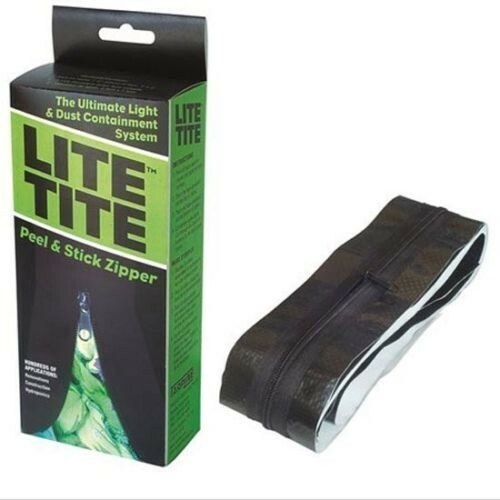 This peel-and-stick, heavy-duty zipper is specially made for poly, vinyl and other flexible coverings. Simply press in place, then slit the poly behind the zipper and you have an instant 6' 8" high doorway.